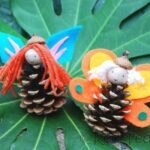 We do have a soft spot for Owl crafts here on Red Ted Art and I particularly love combing “nature crafts” with this adorable animal.. A pine cone is a brilliant nature craft material all year round – our local park seems to always have some. 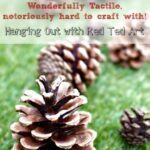 It looks wonderful, is tactile and can be turned into so many things! 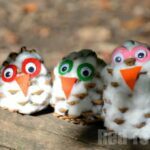 Owls are perfect for Autumn and Halloween and make for nice seasonal decorations. 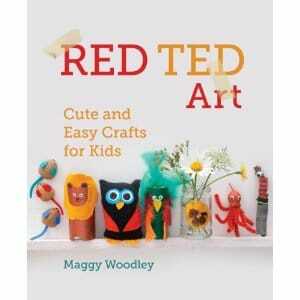 This crafts is featured from my book – Red Ted Art, Cute & Easy Crafts for Kids. 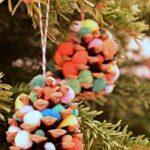 Cut larger and smaller circles from your foam. 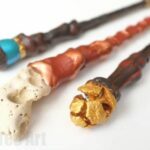 These will form the basis for your owl’s eyes. You can use coins as templates or do it free hand. 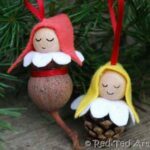 Glue your two contrasting circles together and add your googly eyes. Use ‘cut off’ pieces of foam to make owl eyebrows. 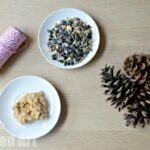 Place the pinecone on table and see how it ‘naturally sits’ – you want your owl to be able to sit ‘unaided’. 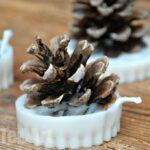 Once you have done this, add the eyes and beak to the front with lots of glue – you need a lot, as the pinecone doesn’t have a smooth surface area to glue your pieces to. The PVA will dry clear, so don’t worry if you can see it. 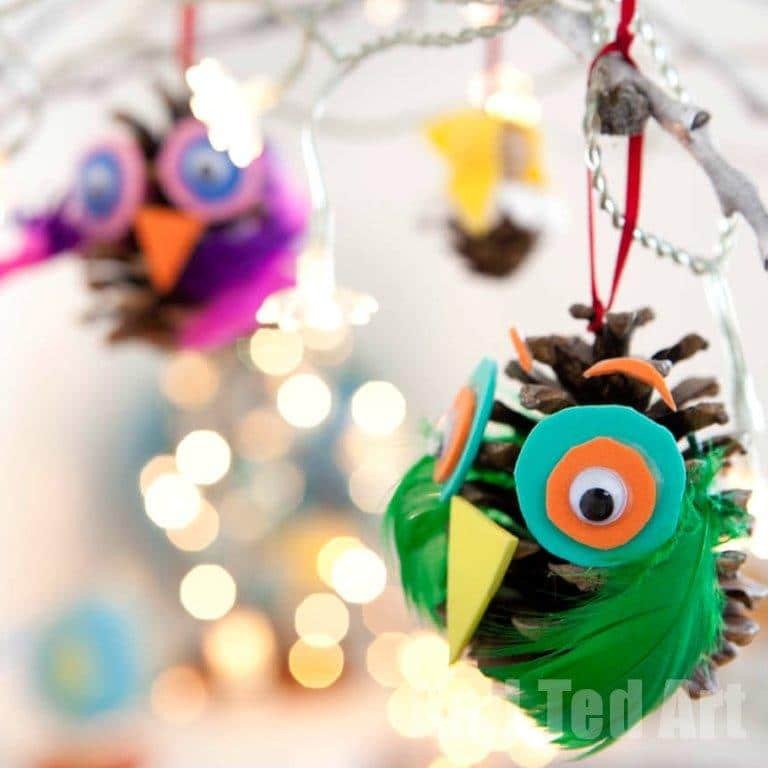 Glue some feathers onto the pinecone to complete your owl. Tie on a ribbon if required. 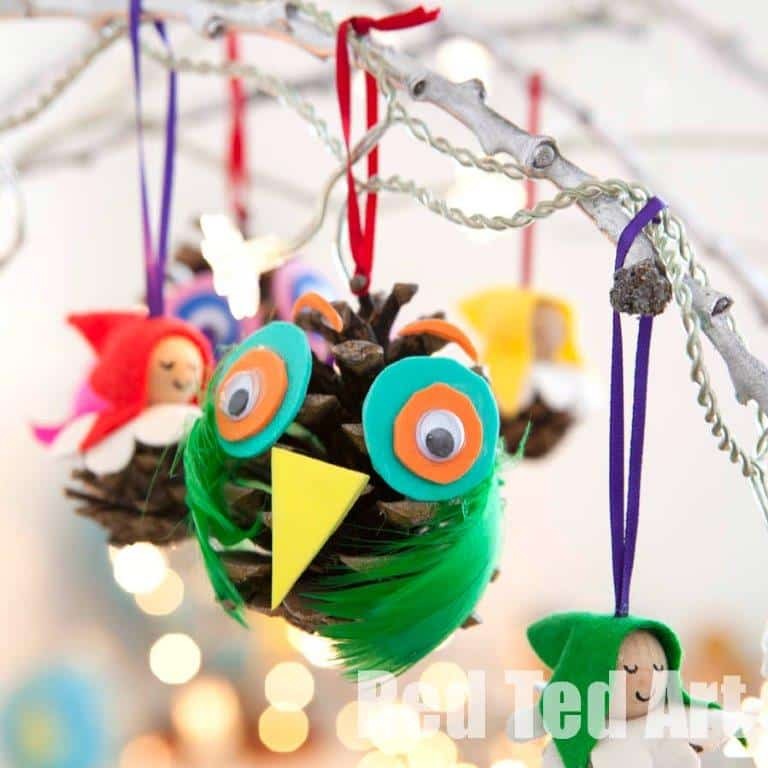 Say aaaaah, we do love a good owl craft! What a hoot!! 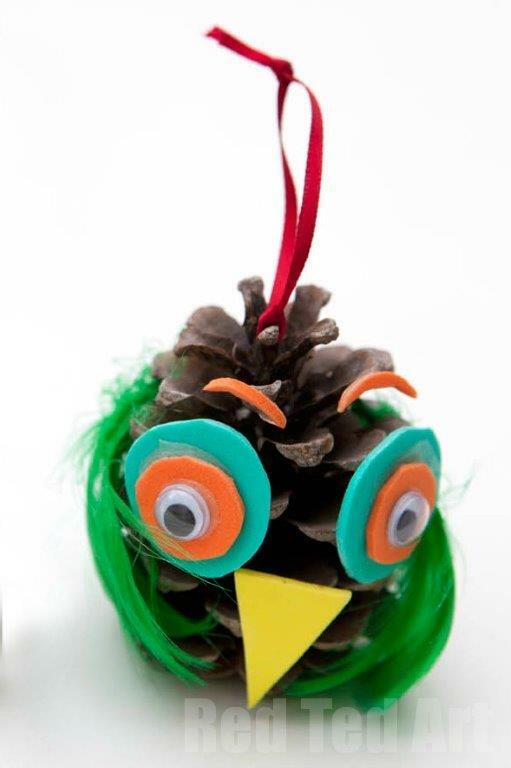 Check out THESE super cute Pine Cone Owls over at Crafts by Amanda!